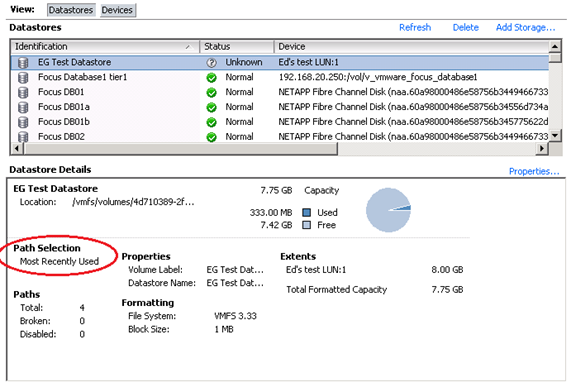 Installing a third party MPP (to supplement the NMP) is either done through the command line (by using esxupdate or vihostupdate with a vendor supplied bundle) or Update Manager, depending on the vendor’s support. Powerpath by EMC is one of the most well-known third party MPPs – instructions for installing it can be found in VMwareKB1018740 or in this whitepaper on RTFM. 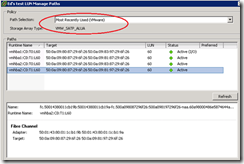 After installing the new MPP you may need to configure claim rules which determine which MPP is used – the default NMP (including MASK_PATH) or your newly installed third party MPP. 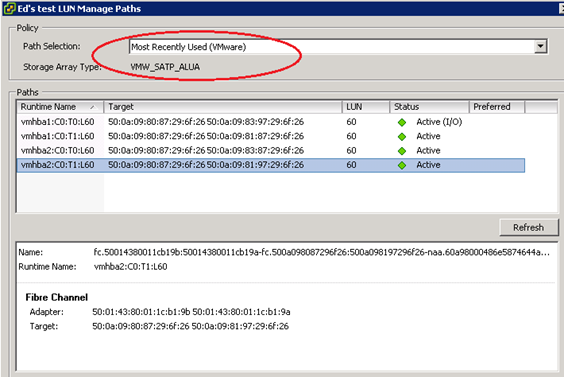 You can configure claim rules to determine which SATP claims which paths. This allows you to configure a new storage array from MyVendor (for example) so that any devices belonging to that storage array are automatically handled by a SATP of your choice. Go to ‘Manage Paths’ and set the correct type. Should be set consistently for every host with access to the LUN. Use ESXTOP to monitor traffic on each HBA to ensure the paths are working as expected. In general the CLI is more useful than the VI client because it’s common to have multiple LUNs connected to multiple hosts (in an HA/DRS cluster for example). Rather than manually adjusting lots of paths the CLI can be scripted. NOTE: esxcli doesn’t work as you’d expect with vi-fastpass. You’ll still need to specify –-server as discussed on this VMware community thread. 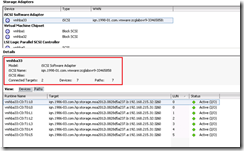 NOTE: With the release of vSphere 4.1.1 you can now set this using PowerCLI. See this post from Arnim Van Lieshout for details. NOTE: You get a similar output from ‘vicfg-mpath –l’ but that doesn’t show the PSP in use or the working path. Food for thought – an interesting post from Duncan Epping about RR best practices. 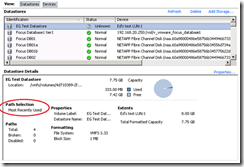 esxcli corestorage claimrule Claimrules to determine which MPP gets used. Not to be confused with the esxcli nmp satp claimrules which determine which SATP (within a given MPP) is used. Typically used with MASK_PATH. 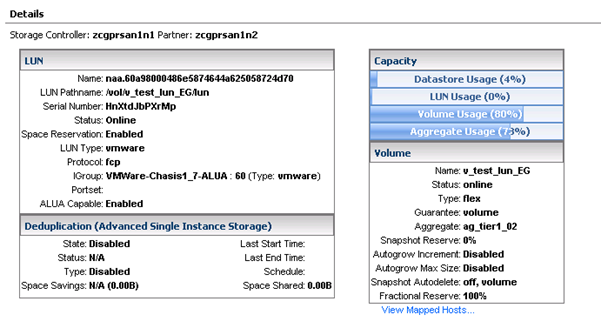 Port binding is the process which enables multipathing for iSCSI, a feature new to vSphere. 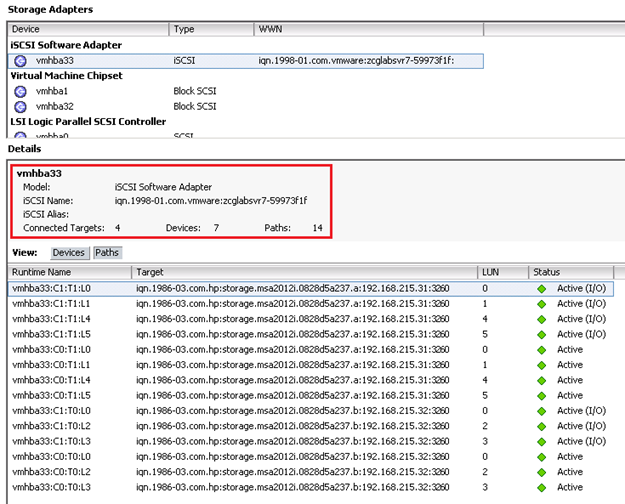 By creating multiple vmKernel ports you can bind each to a separate pNIC and then associate them with the software iSCSI initiator, creating multiple paths. Check out a good post here, more here, plus the usual Duncan Epping post. You can also watch this video from VMware. If you want to understand the theory behind iSCSI, check this great multivendor post. 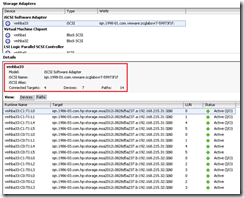 The iSCSI SAN Configuration Guide covers this in chapter 2 and the vSphere Command Line Interface Installation and Reference Guide briefly covers the syntax on page 90. NOTE: This process can also be used for binding a hardware dependent iSCSI adaptor to its associated vmKernel ports. A hardware dependent iSCSI adaptor is simply a NIC with iSCSI offload capability as opposed to a fully-fledged iSCSI HBA. Simply create an additional vmKernel port (with a different IP on the same subnet as the other vmKernel ports). You can use separate vSwitches (which enforces separate pNICs) or use a single vSwitch and then use portgroups with explicit failover settings This is done for both vSS and dVS switches. You can use separate vSwitches (which enforces separate pNICs) or use a single vSwitch and then use portgroups with explicit failover settings. Both methods work for standard and distributed switches. 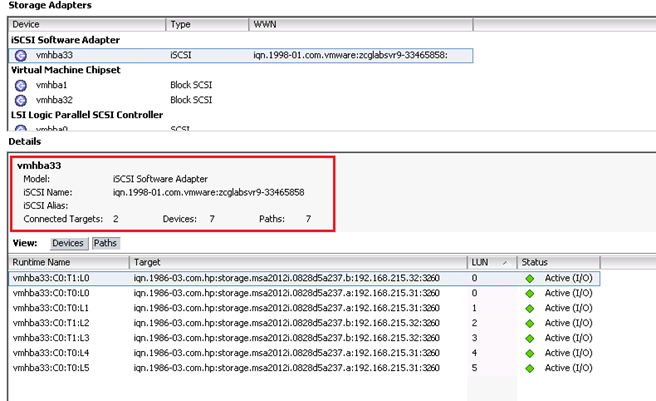 NOTE: These configuration settings are persistent across reboots, and even if you disable and re-enable the SW iSCSI initiator.